Clubs try to sell them to you, “experts” try to say that you need more than you actually do. We’re enthusiasts – every golf bag on this list has been used by a staff member at Gear Hungry or our close friends. You don’t need to spend a fortune or get all the extra fancy fixings; you need function, appropriate weight, and durability. Once again, we’re here to hook you up with the best golf bags from the far reaches of the internet. With fourteen dividers and a style that clips to your cart, Prosimmon Professional is the ultimate option for the professional golfer. With a velcro glove holder, numerous zippered pockets for your valuables, and an attached towel ring, you get everything you need for the course. Instead of a holster, you get an external umbrella strap to secure it. This uses less material and weighs less, allowing optimal room for the external putter tube, which is made specifically for a large-headed putter. With an included rain hood and the most simplistic design you’ve used yet, your game day isn’t dictated by adverse weather. A great number 1 choice to our best golf bags guide and makes a perfect golf gift for your loved ones. The perfect blend of cost, effectiveness, and the features you need, not just the ones you want. Cobra came on top for their design and durability, among other things. You get five zippered pockets, one slip pocket, and a five-way top open that comes complete with full-length dividers for your clubs. This bag comes in multiple colors to contour to your golf attire, and can also come in a standard cart bag size. This model also includes a rain cover for drizzly days, slides over one shoulder for quick carry, and weighs just over two pounds when it’s empty. Rookies or veterans that want a change – you’ve met your ultimate golf bag. Don’t forget to also check our guide to the best golf trolleys for more great items like this. Available in four colors and ready to go when you are, this premier golf bag comes with a four-way divider, rain cover, and umbrella slot – you’ll be prepared for anything that comes your way. TaylorMade is an affordable brand, while giving you fair durability. Users report having this bag for 3-5 years on average before noticing wear and tear (weekender use). The comfortable shoulder strap and perfect split stand make this bag simple to use; this is a lightweight bag that’s not designed for heavy duty use or professional tours. 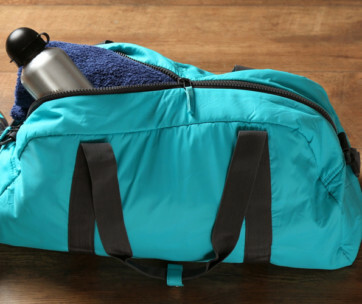 This bag is extremely easy to clean, and includes a slip pocket for valuables. If you are a serious golfer be sure to also check out our list of the top golf GPS watches for more great items like this. TaylorMade’s bags come in handy when you’re on your own out on the course, and all without breaking your wallet in half. Available in five styles and outfitted with a custom, insulated water bottle pocket, this stand bag also includes a large insulated cooler pocket to bring along perishables to enjoy after the ninth hole. TaylorMade is known for it’s easy-to-clean bags, reliable stands, and unique Flextech technology that allows you to really stuff your golf bag with everything you need. Less materials, more storage for your money. Callaway is the king, and when you look at everything they offer in this pack, you can’t deny that fact. There’s seven different styles choose from, allowing you to coordinate properly with your attire, hat, gloves, etcetera. You’ve got everything at the tip of your fingers: a dual pen holder, and a fourteen-way set of full-length dividers, puts it right along the top of our best golf gifts list. On top of that, if you’re sketched-out about your caddy, there’s two magnetic valuable pockets with a very audible clack when the clasps shut. Callaway only builds sturdy, long-lasting bags. You’ll be able to enjoy this for ten years with proper care, so you can bring your bag, your A-game, and come home with a champion title. Our handy golf coolers review features more great products like this. If you’re going into your golfing hobby with a strict budget, you can’t get a better value than the RJ Typhoon. At a jaw-dropping price (in a good way), you get a dual harness strap that alleviates physical stress by administering it evenly across your shoulders. Included is a rain hoodie, four easy access pockets for valuables/small items, tee holders, 5-way full-length dividers, all wrapped-up in a lightweight design. This is our editor’s pick for the perfect first-time golfer bag; you’ll learn what you like, what you love, and have the perfect foundation to make decisions for your professional set one day. 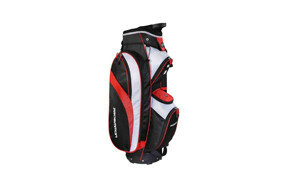 Budgeters will be doing somersaults out on the course when they reveal just how inexpensive this golf bag was. Full durability and multiple pockets give you the feel and use of a professional, pro-tour golf bag without paying the sticker price. Paragon Rising Star Jr comes with a comfortable shoulder strap, solid construction, support bars for the stand so you bag doesn’t tilt over on uneven ground, and enough pockets to store valuables in, such as a wallet or your pocket watch/shades. Pick one of the 12 best golf destinations we have reviewed and start your golf adventure. No fuss type of golfer? Sometimes, it feels like it takes way too long just to get ready to hit the course, when all you want to do is get up and go. This minimalist design comes with everything you need, excluding those “extras” that some golfers just don’t need (which reflects in the attractive price). Velour-lined pocket for valuables, clips to your cart, two additional garment pockets, and an umbrella sleeve with a matching rain hood. TaylorMade 2017 Golf Cart Bag 5.0 also comes in six colors, comes in under 5lbs for optimum travel, and has fourteen full-length dividers. Grasp onto the integrated grab handle, and head out the door – you’re ready to tear up the course. With an ergonomic design and crafted to clip to your cart, the Pioneer bag is perfect for the on-the-fence golfer. Not certain that you want to commit or go pro? Avid golfer who wants a durable bag? Wherever you are on your path, the Pioneer will be right next to you. Magnetic pockets allow you to keep your valuables secure – no more accidentally leaving a pocket unzipped. Available in six colors, attractively priced, two water-resistant pockets, coming in around 7lbs – this golf bag was made for your play style. An insulated cooler pocket, 15-way top and a zip-off, customizable ball pocket panel are waiting for you. Find more great products like this by checking out our guide to the cooling towels. 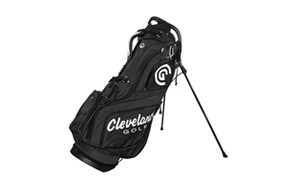 We are wrapping up our best golf bags review with Cleveland Golf brings in an inexpensive and durable bag. Much like our number five pick, you get a fourteen-way divider, a rangefinder storage pocket, and fleece-lined area to hold onto your valuables.. The main appeal to this bag is the convenience of being your own caddy. Prop it up on these two full-length stands, and proceed at your own discretion. When it’s time to grab and go, you have a molded 3-way handle for sturdy grip, and a quick was to just grab your bag, and work your way to the eighteenth hole. Your bag is only going to weigh a little over six pounds empty, giving you plenty of room to work with. Six zippered pockets, a wide strap, and the luxury of being in some of the best hands in the business: Cleveland Golf outputs easy to maintain bags, and for that, they’ve earned our respect. 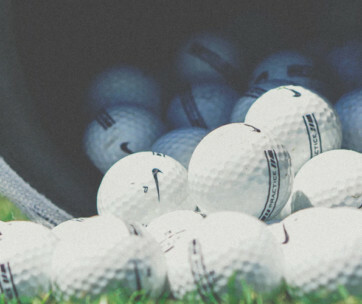 Whether you’re a rookie or you’re a course veteran, you’ll be able to learn something in our comprehensive guide. We’re about to explain different bag types, cleaning and maintenance, tips to avoid problems from forming, and all the little fixings that you may (or may not) want in the best golf bag. Divider System - You have a nice set of clubs, and you don’t want them clanging together in the middle of your golf trip. A divider system can be simple, only having two or three compartments, or you can have up to fourteen individual slots for each and every club you own. The more dividers, the more expensive the bag, and often times it attributes up to 1.2lbs to the overall weight. Weight - Your equipment can get mighty heavy; going with a lightweight bag helps reduce your loadout, so you spend less time applying icy hot patches and more time doing what you love - golfing. Size - This comes down to your clubs. If you’re a true golfer (or at least an enthusiast), you should know the dimensions of your set, and apply that knowledge to the dimensions of the bag you choose. As with anything, the larger the size, the more fabric is used, and the more it will end up costing you. Pockets/Compartments - Simple enough; you want to hold extra golf balls, tees, perhaps an additional glove or even a sports bottle. Pockets and compartments are nice, just don’t get a bag with way more than you need. Towel Rings - You pay good money, you work your rump off to purchase one of the best golf bags, so you would reasonably want it to remain nice and clean. A towel ring gives you quick access to a rag to wipe of dirt or mud before it can stain or embed itself into the fabrics of your golf bag. Rain Covers - We’ll be the first ones to admit we overlooked this little feature. It wasn’t until it started to come down heavily that we realized the mistake we’d made. Woops. Rain covers are your saving grace when it comes to protecting your equipment. Rookie golfers make the mistake of brushing this feature off, but it really is a lifesaver. Umbrella Holder - These are pockets that are specifically designed to accommodate your umbrella. They’re awkward items, but these pockets make it simple to store and retrieve. If you’re dee enough into your game that you don’t want to hit the road when it rains, you need full preparation (especially if you’re acting as your own caddy). Carry Bags - Designed for lightweight travel, these make your game a little quicker, and don’t require you to hire a caddy. In some cases, you can even avoid using a cart if you want to get a workout without killing your back. These are the ultimate weekender golfing bag; recreational use, lightweight travel, easy to pack. These don’t come with extra pockets or features on average. Cart Bags - If you’re taking the cart with you everywhere you go, you can leave your bag attached to it. These usually come with as many additional pockets as possible for rain covers, umbrellas (ideal golf gift), and extra slots for golf balls and spare tees. Staff/Tour Bags - Recommended for professional use only; don’t be a hero and go for this type unless you know what you’re doing. These can weight up to ten pounds on their own without a single item in them. Imagine the weight of your clubs and additional items on top of that. 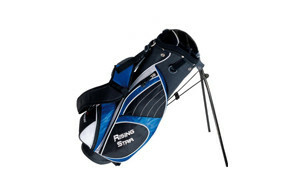 Stand Bags - A totally viable option for the golfer who wants to carry his own clubs. You won’t have a caddy dropping your bag on the dirty ground; you can stand this up on its own, and access everything you need without it getting dirty. As you can imagine, one goes on the cart, one has a stand. I wish it were that easy to explain. Cart bags are actually going to clip onto one of the banisters of your cart canopy, so you can just walk over with no shoulder pain, grab your favorite iron, and seize the day. Then, there’s the stand bags. These are going to dig into your shoulders a bit, if you don’t know how to carry them properly (don’t worry, we’ll explain that in a bit). With these, you just prop up the two stand legs, and you have full access to all of your clubs right out in the middle of the field. Personally, most of us are walkers, and I for one would rather lug one of these over the shoulder and walk across the green. The only downside that stand bags have compared to cart bags, is that if the stands give out on you or break, you’re kind of screwed. You don’t want to lay it on the grass, because then that’s going to get on your shirt when you carry it, and includes more unnecessary bending. Just be sure to test/check your stands before you schlep it on over to the course next Sunday. There’s a very quick way to go about this. Start by emptying out your bag, and get ready to organize. Everyone plays the game a little differently, everyone has their strengths and weaknesses, so play them like a champion. This is the standard setup for the average golfer, and if you’re anything but average, you might have a different plan in mind. Q: What is a Golf Bag? A: These are primarily designed to carry around your clubs from hole to hole, even if you’re using a golf cart. 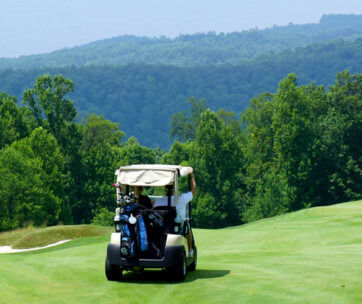 Depending on your frequency of use, whether it’s recreational or professional, you may encounter times where you wish you had all the little details that turn your golf bag into a mobile golfing headquarters. Let’s talk about that. Q: How to Clean Your Golf Bag? A: While you’re not going to improve your score, nobody wants to have dusty, run-down clubs. It all starts with a clean bag. There’s a quick process to clean out your bag. Keep in mind that even if you don’t notice any debris, it’s always a good idea to clean out your golf bag the second you can. It’s easy for bits of dust and dirt to get in, attain moisture, and attribute to mold and mildew that you’ll find on your next trip. Nobody wants that, so let’s just get right into the steps of how to clean it up. Now might be a good time to take a good look at your clubs. Return some of that luster with some quality polish. Set those aside for later though, because there’s a lot more to clean that you’d expect. You’ll also want to check any rangefinder pockets or compartments for valuables. Let gravity do some of the work for you. Prop it up against a dining room chair and just let all the turf you brought home with you slide right out. As a fair warning, you might be surprised as how much falls out. Your clubs fit in the pockets. Well, at least the handles do. You’ll want to wrap a dry microfiber cloth around the handle of one of your clubs, and slide it to the bottom of each divider sleeve. Give it a little twist and remove it, and you’ll see all sorts of dust, debris and dirt coming up. Start with a bristle brush; plastic bristles will work fine, just ensure that they’re durable enough to get the job done. Bristle brushes with soft to medium durability bristles will help clear out most of the stuck-in dirt within the nylon and mesh of your bag. You want to tilt your bag upside down and begin gently brushing the entire exterior of the bag. The vibrations from the brush and gravity of the bag being upside-down will allow small clumps of dirt/pockets of sand to fall out on their own. You’ll have to be a bit gentle, but some dry scrubbing on the exterior of your bag is going to reveal that shine that’s sitting underneath. Use a damp (not soaked; you shouldn’t be able to squeeze water out of it at all), and wrap it around your hand. Use it to get in the corners of your additional pockets, your dividers, and anywhere else that’s open to the elements when you’re out on the course. If dirt persists, use that bristle brush with a vinegar solutions (one part white distilled vinegar, two parts water) and give it another go. That’s basically all there is to it. Your biggest foe in keeping a clean bag is the dust and leaves sitting on the back of the cart, and the time it spends out in the middle of nature (a well-manicured nature, but the outdoors nonetheless). The important part is to keep items out of your bag, and keep it in a cool, ventilated area for any remaining bits to dry out before stashing it away. Keep mildew out, keep the durability of the bag going for years. Q: Can I Wet my Golf Bag to Clean It? What? No. Its own weight is going to work against it, and warp the pockets. They’ll appear collapsed, the nylon/material will dry in an awkward position, and your bag goes from having some dust on it, to looking like it sat in the back of a closet for seven years. If you’re going to use any amount of water, you should only do it on the outside, and only a very little bit on your bristle brush. This will help to raise the dirt from the interior, but if it looks saturated at all, you’re using too much water. You just want a sprinkling (nothing your gold bag hasn’t handled before when you’re out on the course), and leave it at that. Q: How Many Golf Clubs Can You Carry? Yes, that’s only twelve. The stipulations that surround this state that you can fit those empty two slots with whatever you’d like. If you wanted three putters (we’re not sure why you would, but it’s an option), you could do that. If you showed up with four putters, you’d be screwed, though. We recommend putting a good sand wedge and a pitching wedge in those other slots. Q: How to Carry Your Golf Bag? If you’re not a cart guy (or you don’t want to pay the ridiculous rental fees), you’re going to leg it across the course. Hey, it’s healthier, right? There’s a right and wrong way to hold it, so keep all of this in mind so you look like a pro. If you’re a beginner and this is your first time out on the course, or you’re trying to impress the soon-to-be father-in-law, we’ve got you covered. It’s like getting a new pair of trainers. Load it up, and walk around your house with it for a bit. If it feels unfamiliar, it’s going to show. For about ten minutes a night, throw it over your shoulder, and make your way from the living room to the kitchen and back. The correct way to do this is all over one shoulder. Find the broadest part of the strap, and place it at the tip of your shoulder. You have two ways to do this, so if you’re a powerlifter or just know how much your shoulders can take, you can either keep your bag inline with your side. Basically, it’s hanging underneath your arm like a messenger bag, while your arm rests along the top. Some bags will have a specific armrest area. The other way to do it is sling it over your shoulder, so it’s going at a forty-five from your shoulder blade, across your upper thigh. This one is going to impede on how you walk if you’re not used to it, so move with confidence. We’re just going to take a minute to remind you that it’s very easy to pull your shoulder if you’re not careful. Don’t be mister macho out on the course, because it’s only going to screw you over in the morning. After enough time in pain, your body sends endorphins to cancel it out, and you no longer understand how much damage you’re doing. There are golfers with torn rotator cups, all because they didn’t listen to their body.